Using the Manchukuo of the 1930s-40s as background, Hao conducts historical investigation, archival research, field study and personal interviews, tracing back to the propaganda, drama and documentary films, and related figures, from the period of the Manchukuo Film Association. Forsaken Landscapes is a work integrating live performance and videos, based on several films selected and edited by the artist. These moving images include documentary and propaganda films made in the 1940-50s about Manchukuo, Dersu Uzala, a Soviet-Japanese film directed by Akira Kurosawa in 1975, and more. The Northeastern China has always shifted in the current of history: from a wild land full of aspirations, to a battlefield where bravery and despondence coexisted, to the “black-soil earth” that symbolised the Socialist spirit of agricultural and industrial expansion, to the slow decline of the “Northeastern” region as a whole. Filmic representations have repeatedly embellished and exploited this land, but because of various reasons, these images have become undesirable and forsaken. The artist strips the narrative from these images, leaving only a montage of landscapes, and then invites a “benshi” to “re-interpret” the meaning of these landscapes in a live performance. In this performance, can politics let off these Manchurian landscapes? This is a question that the artist wants to explore. 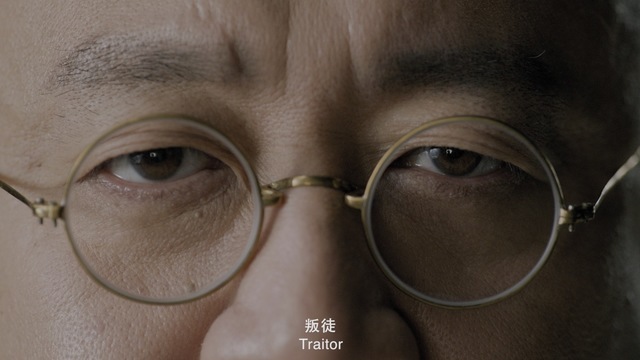 Mr. Miura Plays Masahiko Amakasu consists of an interview and theatrical reenactment, featuring the Japanese actor Kenichi Miura, who has lived in China for decades and is recognised for playing countless Japanese military villains in Chinese television and films. In the 1990s, Mr. Miura came to Beijing for study, and ever since a fateful audition for a TV drama in 2001, has become a professional actor. 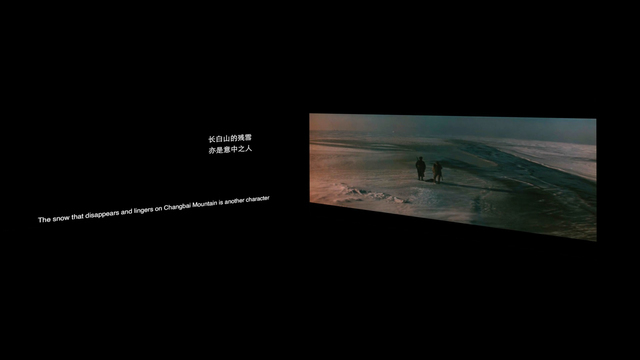 In the video work, Miura performs in a black box theatre, reenacting the role of Masahiko Amakasu , head of the Manchukuo Film Association, while a conversation between the artist and the actor is interspersed on the other screen. As history, reality and fiction intertwine and overlap, the actor experiences this double world, on- and off-screen, in the splitting and recombination of personalities and psychological states. From the “Sino-Japanese War” fought in his professional work, to his twenty years of quotidian life in Beijing, the century-long conflicts in Sino-Japanese relationship structure Miura’s life in imaginary and real layers. 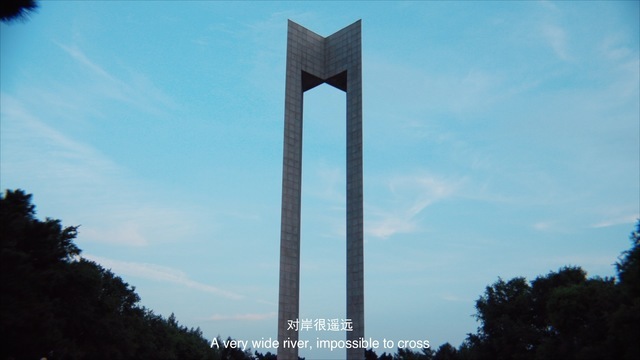 From South Lake Park to Hongqi Street is a dual-channel essay film based on the inquiry "What is Manchukuo Film Association", which threads together the spaces, characters and stories related to the Manchukuo Film Association, connected by the artist's voiceover narration. These stories comprise of a myriad of protagonists, including the Manchukuo actress-singer Li Xianglan (Yoshiko Yamaguchi), personnel working in the Manchukuo film association and Changchun Film Group Corporation, scholars of Sino-Japanese films etc. Through these narratives, the artist attempts to insert answers into the blanks that History indifferently or haphazardly left out. The corresponding places are washed out, forlorn and almost mundane, littered with bequeathed ideologies, unremembered names, discarded memories, inadvertently laid tombstones and monuments, and ruinous architecture. In the playback of her own footages, the artist tries to sort out the people, objects, time and space that she has encountered in the filming of the project, grasping for answers from the details that may have been undetected during the recording.